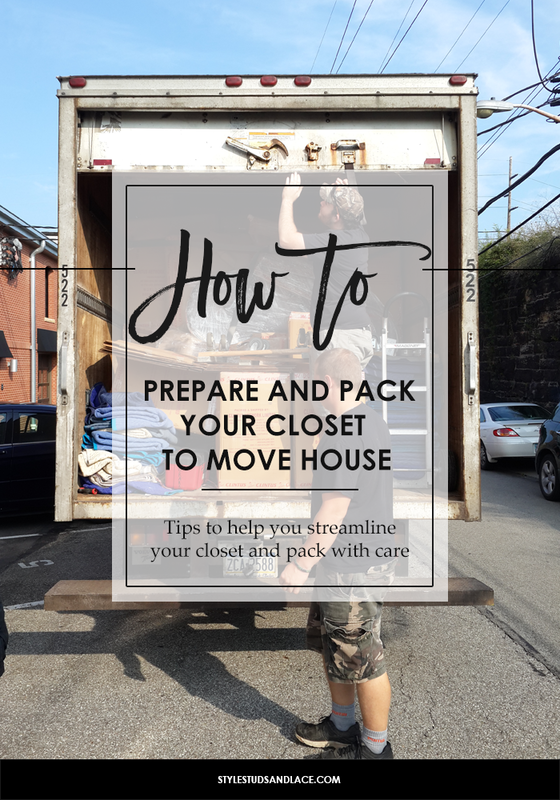 We’ve moved county twice – from the UK to India, and from India to the USA – have moved from Pennsylvania to South Carolina, and have traveled a ton in between this so when it comes to packing up I’m kind of a pro. With our recent move from Pittsburgh, PA to Columbia SC still very fresh I thought that now would be the perfect time to share some of the things I’ve learned along the way. I highly recommend de-toxing your closet ahead of a move, it will make the packing process much less stressful, will make it so much easier to determine what to pack and what to take with you for the short term, it’s also remarkably cathartic. 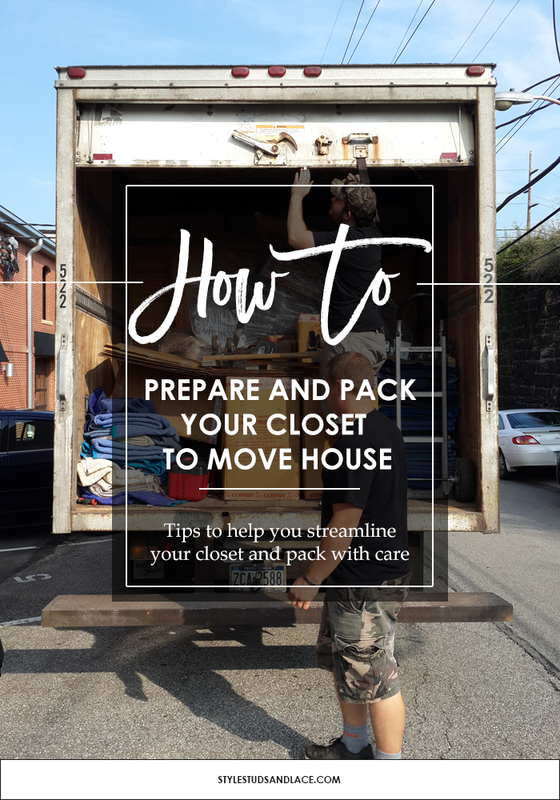 I’ve written posts in the past sharing how I de-tox my clients closets and organize everything (here and here ) so I won’t go into too much detail again, but here are my musts for a successful wardrobe clear-out. Remove the items that no longer fit. Remove anything that’s beyond repairing. If you haven’t worn an item for a few years then say goodbye. If you just don’t like something, get rid of it, don’t hold onto it out of guilt! 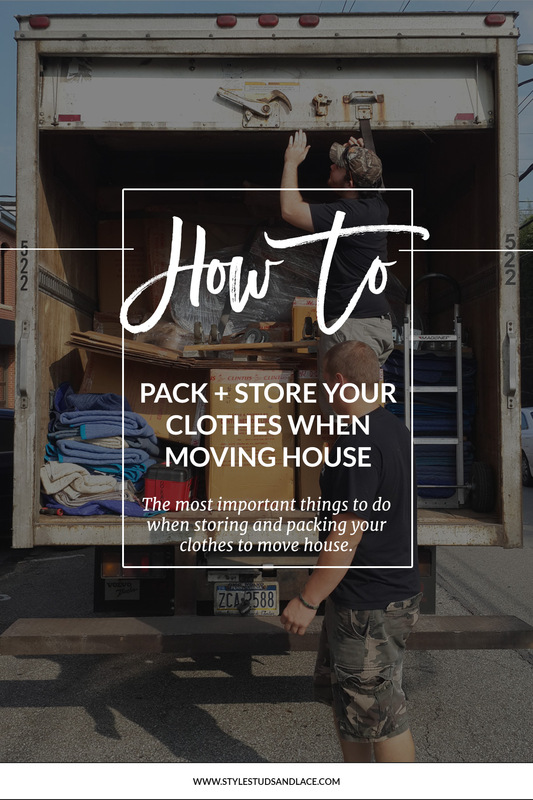 No matter whether you’re taking your belongings with you, or you have a company pack and move them for you, you’ll want to pack a suitcase containing all the clothes and accessories you’re going need for the first month or so. This way you shouldn’t have to unpack every other suitcase or rummage through the mountain of boxes to find what you’re looking for. 1. Make a little list of the things you’re likely to be doing and where you’ll be going, and pack proportionately. If you’re going to be spending most of your time house hunting and setting up home, don’t take lots of evening-wear! A small selection of accessories – hats, jewelry, scarves. 3. Consider a color theme – it doesn’t have to be a bland neutral; any color will work – you’ll find it easier to spot combinations if you have a similar color pallet to choose from. 4. Choose items that layer well, these will be the heroes of your capsule collection and will be the pieces that enable you to mix things up a little. 5. Pay attention to the shoes and accessories. These are the things that will enable you to dress your outfits up and down with very little effort. Below is a mini capsule collection of around 30 pieces that would keep you going for at least 3 months! Now you’ve removed the items you’re taking with you for your capsule wardrobe you can start to pack the remaining items. I know it’s tempting to just chuck everything into boxes and and be done with it but you will save and disappointment at the other end. The last thing you want is to open the boxes in your new home and find that your beloved clothes are smelly, dirty and damaged. Pop a few moth repellent sachets in with your clothes, just to be sure that any little critters are kept at bay. I use these. Wrap delicate items, like leather and silk, in tissue paper. don’t’ be tempted to pack things in plastic clothes bags. Plastic makes clothes sweat. If you want to use clothes bags, opt for fabric ones. Pack footwear and clothing separately…for obvious reasons. Disclosure: this post contains some affiliate links, which means that if you purchase a product via these links I will earn a small commission. I NEVER link to products that I wouldn’t recommend to my clients, or purchase myself.